- The Egyptian Code for Design and Application of Fiber Reinforced Polymers in Civil Engineering Applications. - The Egyptian Code for Construction Projects Management. He is the former Secretary General of the Egyptian Code for Design and Construction of Concrete Structures and the Research Assembly of Construction, Housing and New Communities at the Scientific Research Academy. He chaired five international conferences organized by both the Egyptian Society of Engineers and Ain Shams University on the Use of Fiber Reinforced Polymers in Civil Engineering from 1996 to 2008. He also chaired two engineering conferences; the Tenth International Conference on Structural and Geotechnical Engineering, Ain Shams University and the International Conference in Bridge Engineering in the year 2000, Sharm Elsheikh. Moreover, he participated in both the scientific and organizing committees of several conferences around the globe. 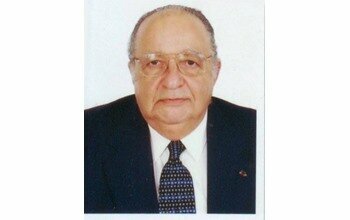 Dr. Hosny was the first scholar to teach “Construction Management” at any of the Egyptian Universities in 1981. He initiated the first Diploma in Egypt on construction management at Ain Shams University in 1988. He was also the Project Director for “The middle management training” project at the Holding company for construction, which was funded by the World Bank; and the principal researcher for the “Performance Enhancement of the Prefabricated houses company” project conducted jointly between the Technological Planning and Development Institute at Cairo University and the Massachusetts Institute of Technology (MIT). He founded “Hosny” consultants in 1959, where he participated in the design and consultations of many projects in Egypt and the Middle East. He was the keynote speaker at many scientific events in the Middle East and UK. He published more than 100 refereed research papers and supervised more than 90 MSc and PhD theses in the field of concrete structures and construction management. Chairman of the Structural Engineering Department and Professor of Concrete Structures, Ain Shams University, Cairo, Egypt. There are more than 100 staff member and 3500 students at the structural engineering department, Ain Shams University, which is chaired by Dr. Abdelrahman. He is a member in the Egyptian Code for Design and Construction of Concrete Structures, vice president of the Egyptian Code for Design and Application of Fiber Reinforced Polymers in Civil Engineering Applications, and a member in both the Egyptian and Arab Codes for Planning, Design and Construction of Bridges and Highways. He organized a series of international conferences on the use of fiber reinforced polymers in civil engineering (MESC 1 to 5) held at different cities in Egypt. He also chaired the fourteenth International Conference on Structural and Geotechnical Engineering; “Sustainable Infrastructure – From Research to Practice”. He designed the first Canadian smart highway bridge prestressed with carbon fiber reinforced polymers in 1993, while he was doing his PhD at the University of Manitoba, Canada. Amr is the Secretary General of the Egyptian Society of Engineers/Civil and member of the higher committee for Consulting Engineers in the Egyptian Engineering Syndicate. He has more than 30 journal publications and 70 conference papers; he supervised 24 PhD students and 45 MSc students. Amr founded “AACE” consulting office in year 1999, where he designed the first post-tensioned flat slab building in Egypt in 2000 and the first concrete building strengthened with fiber reinforced polymers in 1999. He also designed the first Gold-Leed (Leadership in Energy and Environmental Design) in Egypt in 2008. His office participated in the design of several projects in Egypt and the Middle East. He has more than 30 years of experience working in the field of design of non-prestressed and prestressed concrete structures and strengthening with fiber reinforced polymers. Post-tensioning is used for the last decades for different concrete elements such as slabs, beams, walls and mat foundations. For industrial and office buildings with large spans, application of post-tensioned, (PT), concrete floors is competitive to reinforced concrete. Use of PT slabs results in small sections, better serviceability, durable structures and faster construction compared to reinforced concrete construction. In some cases, it demonstrates an economic alternative to conventional concrete or steel floors. Post-tensioning concrete slabs are applied using either bonded or unbonded tendons. Bonded tendons is achieved by grouting the ducts containing the steel tendons after stressing. Consequently, the prestressing force is transmitted to the concrete by bond along the steel tendons. In unbonded tendons applications, the ducts are left after stressing without grouting and the force is transmitted at the anchorages of the prestressing steel. This paper introduces analysis, design and construction techniques of PT concrete floors. Computer model specifically made to design PT slabs satisfying the requirements of the Code is introduced. Case studies carried out in Egypt and in the Gulf area in the last few years with particular application of post-tensioning are also introduced. These case studies includes buildings of spans up to 24.0 meters, as well as water tank of 100,000 m3 capacity. Recommendations and design guidelines of PT concrete slabs as well as assessment of the current Egyptian Code are highlighted.